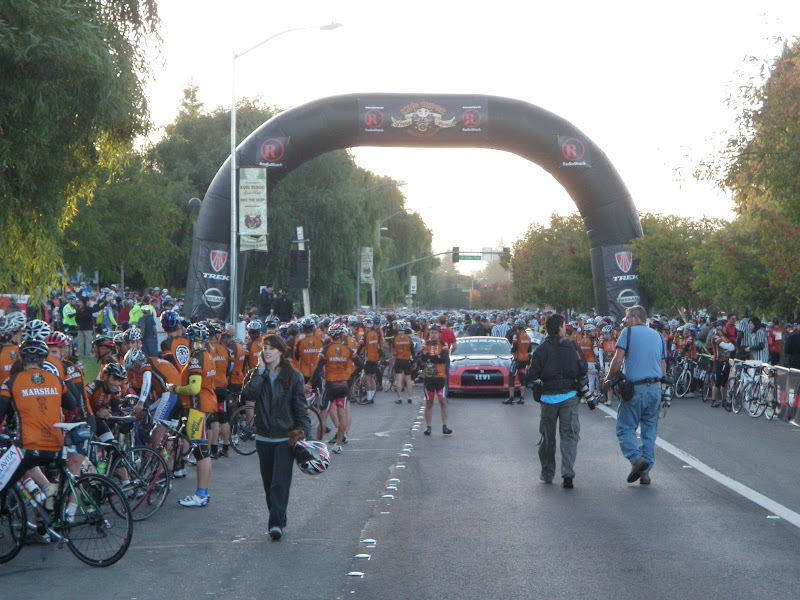 Levi's Gran Fondo (formerly Levi Leipheimer's King Ridge Gran Fondo) is a scenic ride through challenging Sonoma County terrain. 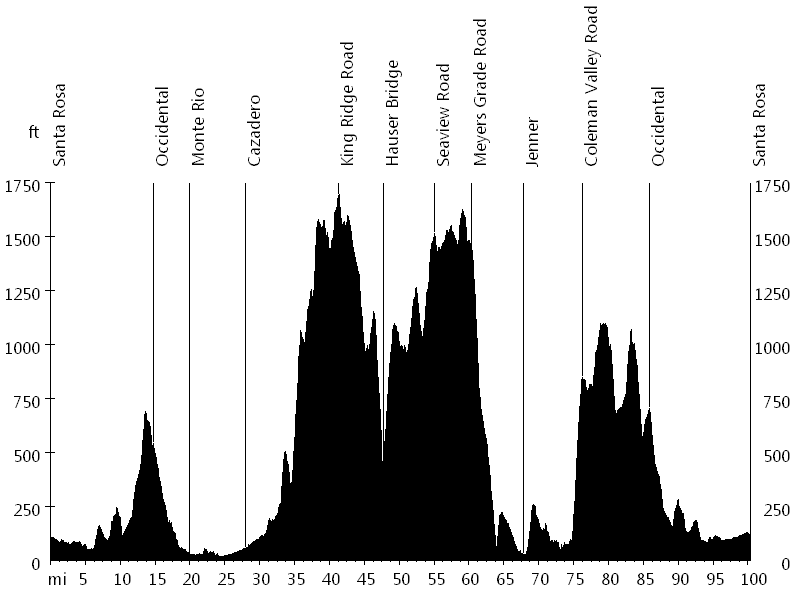 After a mass-start in Santa Rosa, the course heads west towards Occidental, and then northwest through Monte Rio and Cazadero. 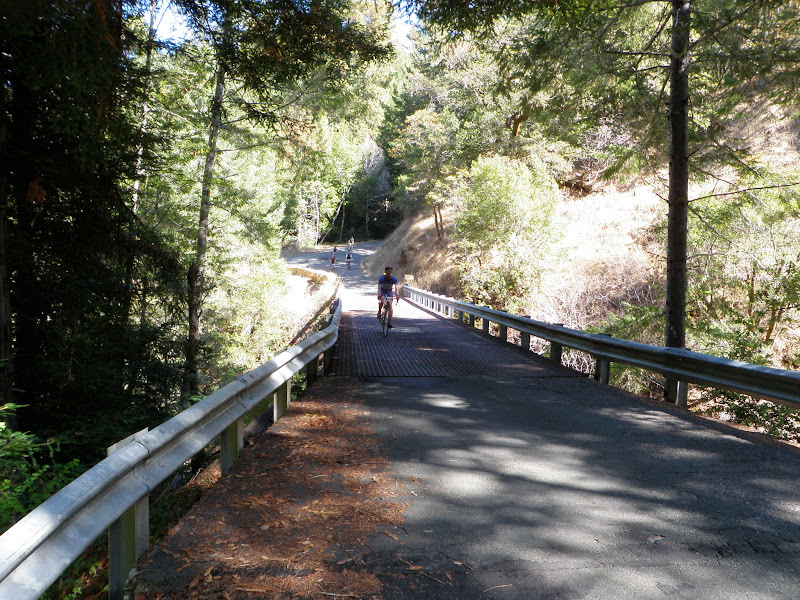 King Ridge Road, after which the ride is named, starts shortly after Cazadero and leads through a Redwood forest and up and along the remote ridge. After a steep drop, the course crosses Hauser Bridge and climbs up Seaview Road, eventually offering views of the Pacific Ocean. The road turns into Meyers Grade Road, which leads down to the Coast Highway. 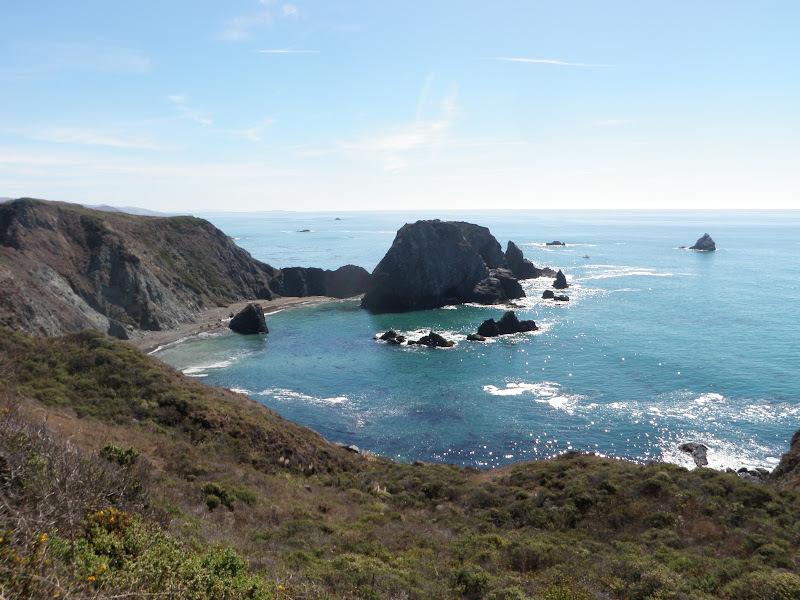 After a few miles on Coast Highway, the ride passes Jenner, the town where the Russian River flows into the Pacific. 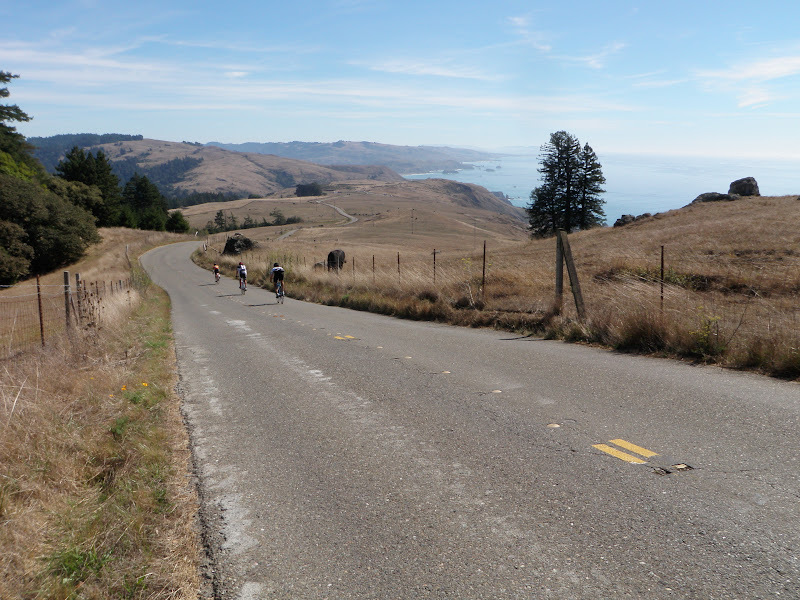 The course continues along the ocean, and shortly before Bodega Bay heads up Coleman Valley Road, also known as "the wall". 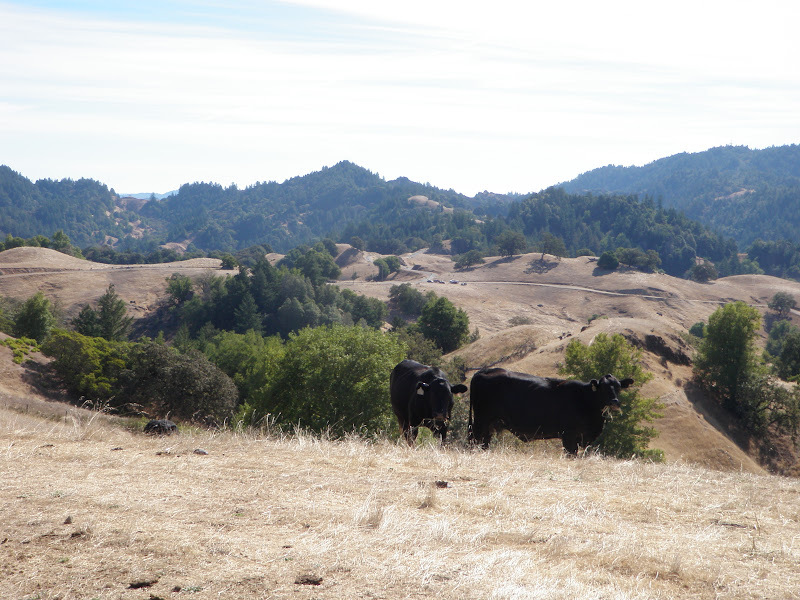 The road leads back east to Occidental, from where the ride follows the same route as at the beginning, except for the last few miles, which are on Santa Rosa Creek Trail. Sandra and I came to Santa Rosa for a long weekend. On Saturday I rode the Gran Fondo, lining up with Levi and about 6,000 fellow cyclists, ranging from beginner to world champion. After the ride we hung out with Bill L., George A., and Julie R. from the Renegades, enjoying free beer, paella, and live music at the festival. On Sunday we went to Calistoga and St. Helena in neighboring Napa Valley, tasting world-class wines. Update: In 2012 Leipheimer was found guilty of doping.